The goal of any business may include making a profit, keeping stability, and creating employment opportunities. People who study business courses are given the chance to learn about managing businesses of various sizes. They also learn about the relationships between businesses and the communities that they serve. Studying any business management course may help you on your way to becoming a leader in the business environment. 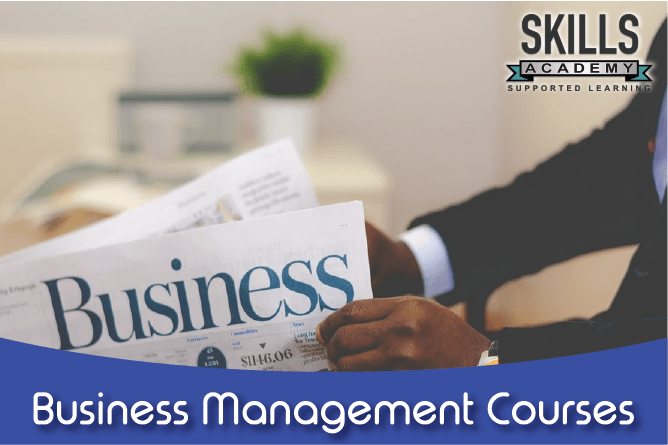 What Accredited Business Management Courses Are Available? What Are These Courses About? Here we have set out everything you need to know about the courses and what to expect in the different subjects. This is the first course in the Business Management Programme with an NQF Level of 4. With this you will be able to get your first qualification in just nine months. The course consists of three subjects. These are Bookkeeping to Trial Balance, Business Literacy, and Business Management 1. The entrance requirement to be able to study this course is at least Grade 11 or an equivalent. This course provides you with the foundations of accounting. The course assumes you have no knowledge or experience with accounting and teaches you the basics to be able to do bookkeeping. This is a basic course that covers communication and mathematics, making it very unique. It focuses on written and verbal communications that is effective in a business setting. The course also teaches you numeracy business tools, such as percentages, interest rates, and graphs. This is your foundation to business management knowledge and the rest of the courses to follow. It covers the best practices in financial management and prepares you for the next course. This is the second course in the Business Management Programme with an NQF Level of 5. The course will take 15 months to complete and consists of five subjects. These are Financial Statements, Marketing Management and Public Relations, HR Management and Labour Relations, Office and Legal Practice, and Business Management 2. To be able to study this course you will have to complete the National Certificate: Small Business Financial Management course first. This subject is mostly given at an intermediate level such as this course. It teaches you the basics of financial statements through ratios, recordings of depreciation, disposal of assets, general ledger, application of accounting concepts, and the preparation of the statement of cash flow. This course looks at how public relations and marketing work together to build a brand. The marketing focuses on the market and the public relations focuses on the relationships and cooperation between the company and the client/customer. This is a comprehensive course that will teach you everything you need to know about the human resources department of a company. This includes the labour legislation, human rights, and labour practices in South Africa. Office and Legal Practice teaches you about the legal procedures and how to apply law principles in practice. 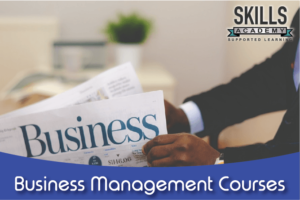 This is the intermediate level course that builds on the knowledge learnt in Business Management 1 and prepares you for the next course, Business Management 3. This is the third and final course in this programme and you will end with an NQF 6 qualification. The National Diploma course will take you 12 months to complete. It consists of four subjects. These subjects are Financial Reporting and Reg Frameworks, Research Theory and Practice, Business Management 3, and Financial Management and Control. The entrance requirement for this course is the Higher Certificate: Office Administration course. This subject is usually combined with the Research Theory and Practice subject. It focuses on the application of International Financial Reporting Standards (IFRS) in a South African context. This course has a different method of evaluation. It takes the form of mini research dissertation. The dissertation is based on the knowledge learnt in Financial Reporting and Regulatory Frameworks. This is the advanced level and builds on the knowledge learnt in the foundation and intermediate levels of Business Management. This subject teaches you how to apply managerial finance and control principles in an environment that is commercial. Distance learning is a way of studying that provides you with the freedom other options can’t. It means that you study at home, in your own time, and don’t have to go sit in a class everyday. You also save the money you would have paid to cover the lecturer’s fees. With distance learning you study in your own time and at your own pace. There is nothing rushing you to study faster if you can’t. You book your own exams and decide when and where you will be ready. Distance learning works around your schedule and not the other way around. Can I Study Business Management Through Distance Learning? A simple answer is yes. The ICB designed their courses in way where it can be presented full time or part time in a class, or through distance learning. You can study via distance learning through an ICB provider such as Skills Academy. What Careers Are Possible With This Qualification? When completing the ICB Business Management Programme you are able to fill various positions. This programme covers a wide variety of topics which makes it easier for you to fill a wide variety of jobs. You are covering topics such as bookkeeping, financial management, business management, marketing and public relations, HR management, and office and legal practice. Your expected salary will depend on the career you decide to enter. According to PayScale the average salary of a Bookkeeper in South Africa is R158,946 per year. The average salary for a Financial Manager is R424,626 per year. The average salary for a Business Manager is R396,460 per year. A Public Relations and Marketing Coordinator has an average salary of R166,302 per year. An HR Manager has an average expected salary of R242,121 per year. There are a lot of other careers that you can look into with a qualification in Business Management. A good place to get an idea of what type of salary you can expect is by searching the desired job on PayScale. The ICB, or the Institute of Certified Bookkeepers, is an external independent examination board. They offer accredited business qualifications that is recognised across South Africa, as well as internationally. This means that your ICB qualifications are recognised in places such as the UK. They are a partner of the Quality Council for Trades and Occupations (QCTO) which means that they have the power to conduct examinations that are recognised on the National Qualifications Framework (NQF). This means that each qualification done through the ICB has an NQF level attached to it. All ICB provider colleges have to be registered with the Department of Higher Education and Training (DHET). Skills Academy is one of these colleges, so when you study at Skills Academy, you know that you’re studying at a college that is accredited. .
How Does The ICB Courses Work? All the qualifications are broken up into separate subjects that will be examined individually.The first thing you should do is to register with your training provider, such as Skills Academy. After that you register with the ICB, register on the ICB Learner Portal, and then you will receive your Portfolio of Evidence (PoE) directly from the ICB. The PoE includes three assignments and two tests. This is to be handed in when you write your exam. You need to sign up for the exams yourself on the ICB Learner Portal. There you can choose a date that suits you as well as a venue convenient to you. You receive your qualification once all the subjects in a course is passed. This will be awarded to you by ICB and FASSET. This course is perfect for you if you want to know everything there is to know about a business. You will learn everything about the ins and outs of business. It will equip you with the skills to be able to run and manage a business, whether it be your own or someone else’s. What Other Business Management Courses Are There? One of the most appealing elements of choosing to study business management is that you are spoiled for choice. There is a wide variety of business management courses on offer. There are also many other courses available that tie in well with business management. There is a good chance that you may start out studying one course, and go on to study a number of related courses. You might even decide to combine management studies with another subject that you are passionate about. Below are two courses set out to give you an idea of what can be expected. Business management studies offers you a vast variety of choices and options, which means that there is a high degree of flexibility. However, you need to remember that no matter what you study, it is going to be up to you to find out what the job market requires, and to make sure that you equip yourself with the necessary skills. What Are The Advantages of Studying Business Management? You will gain a good grasp of the realities of the business world. You will learn about the importance of teamwork. You will learn how to manage people. You will learn about entrepreneurship. You will be able to combine your business management knowledge and skills with a range of other skills in order to pursue different career paths. You will learn about various aspects of running your own business. You will gain a better understanding of what to expect from employees. You will learn more about organisations and how they are structured. You will learn how to interact more effectively on a professional level. Skills Academy not only provides accredited courses. We also provide a number of non-accredited or provider programmes. This is great if you only wish to brush up on knowledge. Provider programmes are also great if you are already working and wish to upskill and show your employer that you are serious about your career. Skills Academy offers a wide variety of management courses. At Skills Academy, we also give you the tools that you need to pass your course. We provide you with clear and easy-to-follow study material, and we give you access to a personal tutor to assist you with your studies via telephone, e-mail, and WhatsApp. You will also be part of a study group with other students studying the same course and subjects as you along with a course expert. We provide you with all the support to make a great success of your studies. To find out more about studying business management with us, simply fill in the form on this page or give us a call toll free on 0800 39 00 27.